Replace ordinary spotlights with these best quality outdoor led flood lights and see the difference in lighting! LED flood lights are a great way of adding beautiful ambient light around your surroundings and industrial outdoors. These high powered lights are widely used to illuminate large areas which need brighter and good quality lighting. Led flood lights can provide illumination for ports, parking lots, construction sites, monuments, and industrial outdoors and sports areas. They produce instant powerful light across a wide beam angle and project light onto special outdoor areas which need an ample amount of lighting for security purposes. At LED My Place, we provide the best quality outdoor led flood lights which come in all shapes and sizes to suit different spaces. The flood lights offered by us save massive 90% energy and also act as a safety precaution against intruders. Having a high lumen output, these outdoor led flood lights light up the darkest areas of your surroundings in an efficient manner. 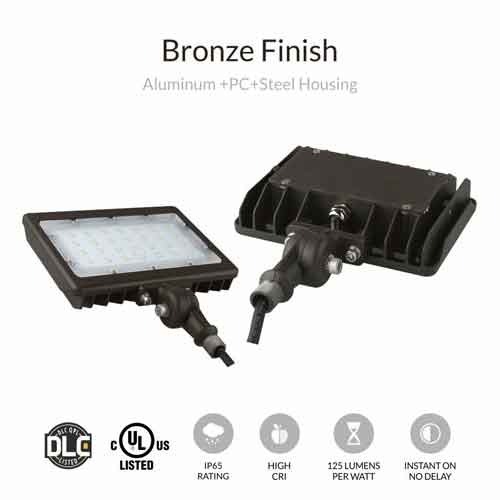 Besides a super stylish design, these lights feature good thermal management, and are ideal for ports, parking lots, and sports areas and industrial outdoors. 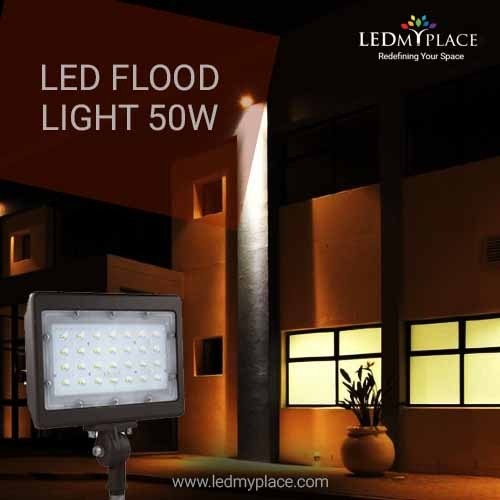 With our LED flood lights, you can evenly illuminate your outdoor and also increase the security. Our outdoor led flood lights use the latest solid state lighting technology. Having a lumen output of upto 80,000 lumens and a beam angle of upto 150 degrees, color temperature of 5700K and greater CRI, our outdoor led flood lights are much superior to ordinary outdoor lights. * Can easily replace up to 100-200W of any metal-halide lighting fixture.